If you’re wondering how popular non-QM lending is these days, the answer is not very. 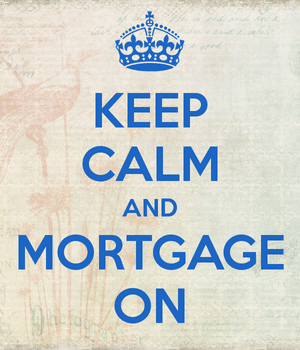 The National Association of Realtors, which conducted its 2nd Survey of Mortgage Originators back in April, revealed today that just 1.6% of loan production in the first three months of the year was considered non-QM. The overwhelming majority (90.1%) of mortgages originated by lenders who responded to the survey were Qualified Mortgages with Safe Harbor, those which provide the most legal protection to lenders in the event of foreclosure or another loan issue. Another 8.3% were Qualified Mortgages with Rebuttal Presumption, those which cover higher-priced loans that exceed certain APR thresholds. These QM loans provide less protection in the event of litigation or a buyback. 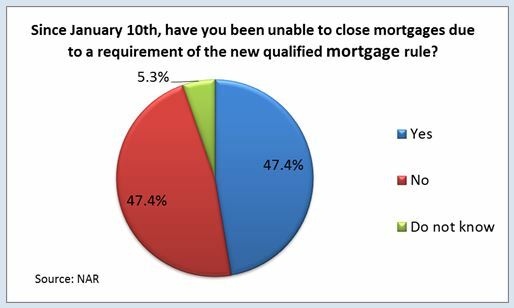 Despite the low volume of non-QM loans, nearly three-quarters (73.7%) of lenders indicated that they had fully adapted to the new Qualified Mortgage rules. However, since the rules went into effect at the beginning of 2014, nearly half of lenders said they have been unable to close mortgages as a result. It’s unclear why or how many loans weren’t closed, but it could be related to debt-to-income ratio issues (max 43%) and/or points and fees (max 3%) issues. Some lenders have buffers in place to deal with these new limits. For example, the maximum back-end DTI ratio for a QM loan is 43%, but some lenders are limiting it to 41% or 42% in case a mistake is made. Of course, loans backed by Fannie and Freddie, along with FHA loans, are exempt from the DTI rule, so not all lenders limit DTI ratios to 43% or lower. As far as the max points and fees of 3%, some lenders have implemented buffers of 2.8% or 2.9%, just in case something unexpected comes up. If fees were an issue, most lenders simply reduced them, or outsourced title insurance and other services that would have otherwise been handled by an affiliated company. Others simply chose not to originate the loan at all. Most non-QM lending these days involves interest-only options or jumbo loans with DTI ratios north of 43%, seeing that they’re not exempt from the rule like conventional loans. But these non-QM products are reserved for high-quality borrowers, not just anyone, and most are staying on the originating lender’s books for now. As I noted a couple months back, banks have come up with some pretty creative ways to offer aggressive financing without breaking the QM rules, including the ability to get a high LTV QM loan just days after foreclosure or short sale. So with the exemption of the DTI rule on most loans and the ability to stay in the QM realm while still offering low down payments with flexible terms, there’s not much incentive to go outside of QM. Only time will tell if more lenders get into the space, but as of now it seems like more of a specialty product designed for high-net worth individuals. Still, Wells Fargo, the top mortgage lender in the country, believes non-QM lending could eventually represent five percent of all mortgages originated by the bank.